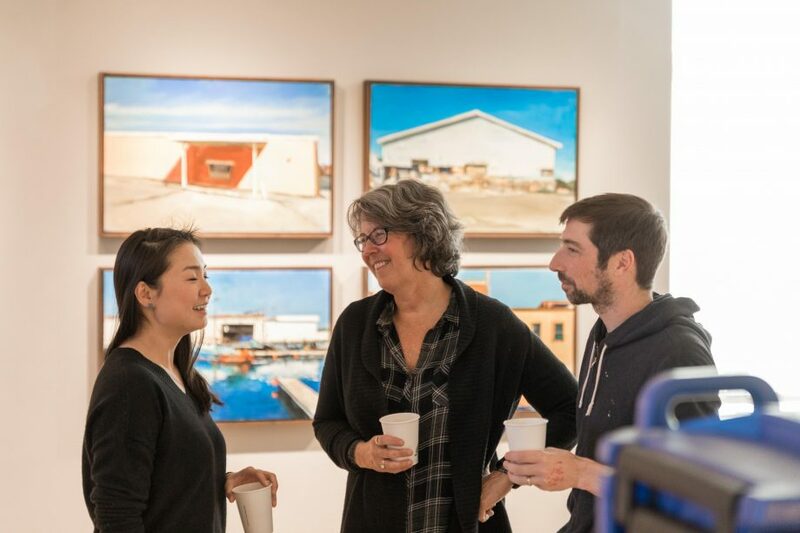 “When you think back on how you ended up someplace, it’s usually this logical progression of small steps,” says visual arts faculty member John Hirsch. His own small steps landed him in Svalbard this fall, sailing for almost three weeks on the tall ship Antiqua. The trip made sense. Last summer, Hirsch published his book on the intersection between art and science, And Again: Photographs from the Harvard Forest. The Arctic Circle program advertised scientists and artists aboard the boat together, offering Hirsch’s concept a new landscape. On September 30, Hirsch boarded the Antiqua alongside 26 other passengers, none of them scientists. Among the small crew, Hirsch met four rifle-carrying young women, charged with choosing locations to work and protecting the group from polar bears. Hirsch decided his next few steps would be beside those guards, photographing the casual efficiency with which they completed their tasks. 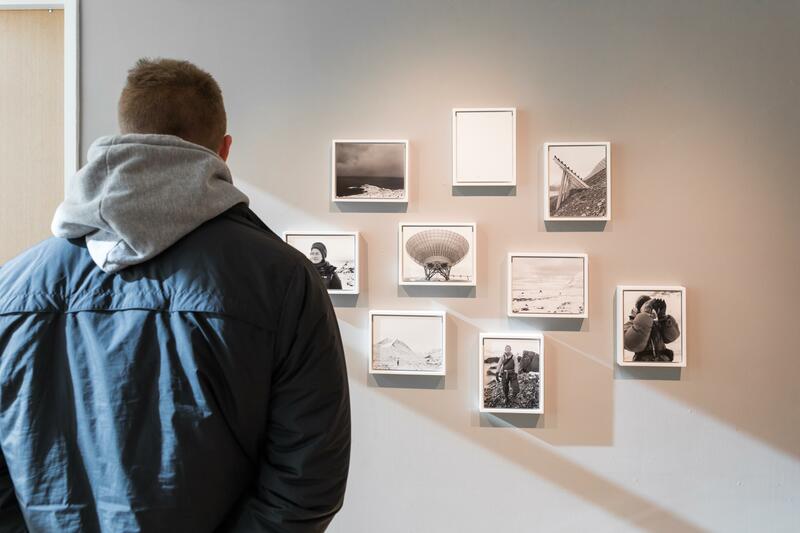 Products of Hirsch’s expedition, 9 toned silver gelatin prints mounted to aluminum, joined the work of his colleagues on January 10 in the semi-annual faculty art show in Foster Gallery, titled The Canvas is Not Neutral. 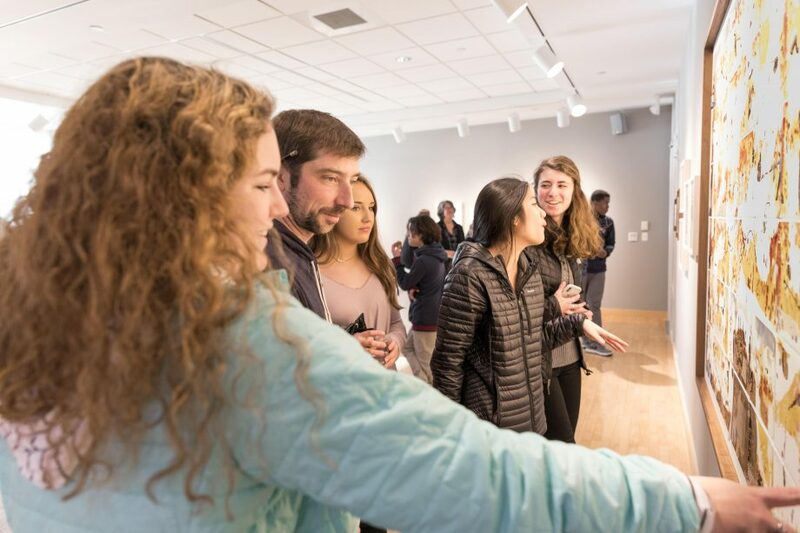 In different media, the gallery displays all the “someplaces” the talented visual arts faculty at Nobles have ended up. 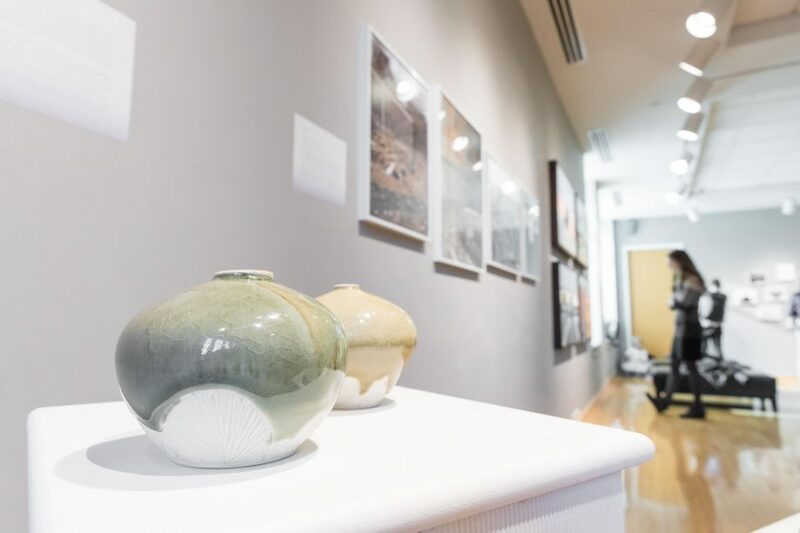 John Dorsey’s intricate ceramic vase forms honor the Stave Churches of Norway, the Gothic architecture of Italy and the Machiya townhouses of Japan. 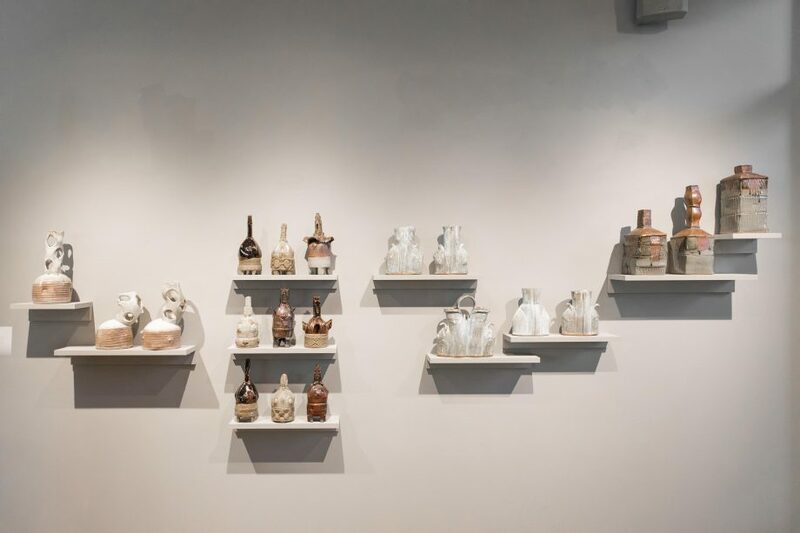 Hanging next to Dorsey’s stoneware is Curtis Mann’s “Removal #2,” a documentary photograph that Mann altered through a process of selection and erasure to stunning effect. 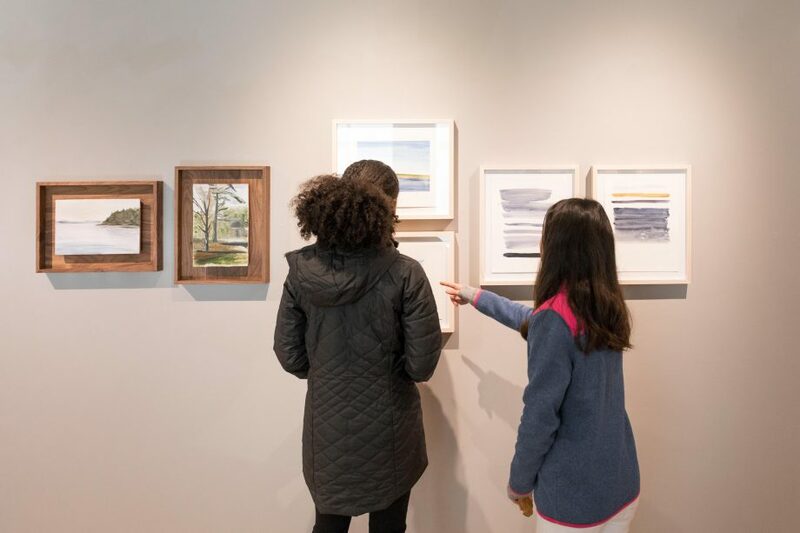 Further into the gallery, Molly Pascal uses oil and watercolor paints to confront her own privilege in depictions of the scenic New England coastline where she grew up. 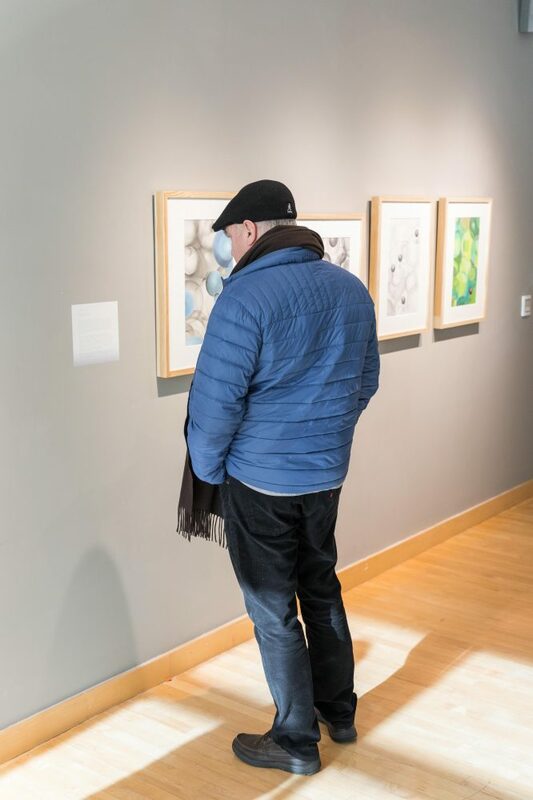 On the back wall, the swirling pencil drawings of David Roane’s “Zoom” series interpret the particles that surround him as he meditates. Circling the room counter-clockwise, Betsy VanOot’s oil paintings honor the spaces in ordinary buildings that resist illumination. These portraits depict those buildings as the women she most admires, “doing the work required of them without complaint, in silence, for decades.” Mike Bodall’s photographs explore the northeastern United States, examining the intersections between the industrial, the domestic and the coastal. Nora Bourdeau’s porcelain platters, plates and vases began as a dozen of her “less successful attempts” to create designs that she enjoyed using as much as she enjoyed making. She brought the tableware home and, through its function in her kitchen, embraced its use as part of her process. The Canvas is Not Neutral will be on display until February 8.